Rural hospitals across the country are facing a severe shortage of incubators for premature babies, exposing them to communicable diseases and other risks, including death, a Cabinet Minister has said. 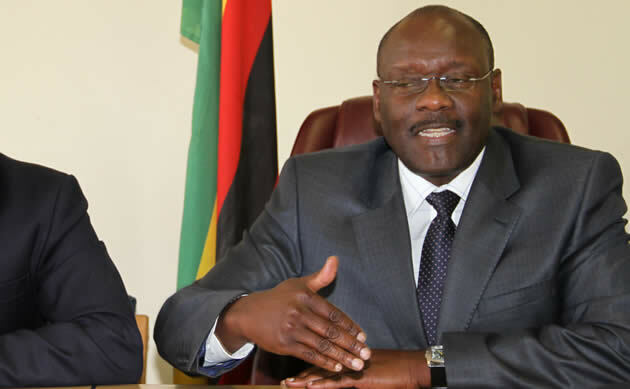 Health and Child Care Minister Dr David Parirenyatwa told Parliament this week that the shortage of incubators and lack of electricity in most rural hospitals had led to a high infant mortality rate as most babies died on their way to referral hospitals. “These devices are largely absent especially at the rural (healthcare) centres but become available, albeit in inadequate numbers, as one moves up the referral system,” he said. Most rural hospitals refer cases to the country’s major referral hospitals in cities and towns as they either do not have the equipment or lack the capacity to handle complex cases. This has stretched major referral hospitals’ facilities with cases of deaths rising for pre-term babies. Medical experts say the crisis, if not averted, will increase child mortality rates in public hospitals. Incubators are enclosed care devices in which prematurely born infants are kept in controlled conditions for protection and care. In the absence of electricity, healthcare workers were advocating for the adoption of a system called kangaroo mother care in an attempt to ease demand for incubators. Under this method, mothers of infants who have overcome initial complications and only need to feed and grow, sit in the incubator room holding their babies close to their skin. The kangaroo care complements care in incubators. The equipment, which included foetal heartbeat detectors, incubators and other health machines, were bought through a $100 million loan secured from China. Currently, the infant mortality rate in Zimbabwe is pegged at 57 per 1 000 live-births, according to a Zimbabwe Demographic Health Survey report.